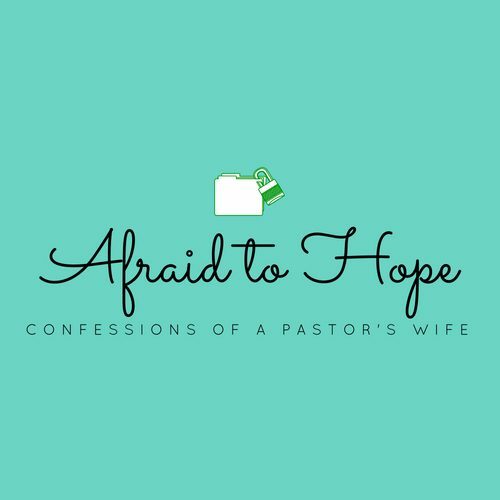 I talk about a lot of things from the perspective of my “pastor wife life.” Good things, hard things, gross things, etc. What I don’t talk a lot about is what I am when all of that is stripped away. The thing that defines me the most and hurts me the most and makes me crazy and sane and fully who God has called me to be at this moment in my life; a mom. This is who I am at the very core of everything. The thing is, all of us lead busy lives. Is there any other way? Yes, there actually is but we wear it as a badge of honor. In a rat race society if we’re not busy then we must be losing. At least that’s what we’ve let ourselves believe. Almost every small talk conversation starts with some variation of, “Hey!! How are you?” “Oh, we’re good…busy, but good.” Followed by, “Oh I know it! We’re just going all the time.” I find myself having that conversation even when I’m not actually that busy because what in the world would I be considered if busyness is removed from the equation? We translate busy to our kids. Everything is scheduled because if it’s not, it won’t happen. We’re raising a generation of over-programmed, over-scheduled kids who don’t really know much about family outside of the schedules that we keep. I worry that the schedule defines the family more than the family governs the schedule. If this is you, I’m not bashing you. That would be the most hypocritical thing I could do because guess what, this is me. This is my family and I’m not sure it’s ok. I was talking to the Lord the other day about everything that was on the schedule and everything that needed to get done and all of a sudden it occurred to me, as a God who clearly values rest and designed each of us for rest and even demonstrated rest for us, this cannot be pleasing to him. I’m not entirely sure how to fix it because much of life demands it so knowing what to cut and where is a tough thing. That being said it has made me mindful of something that could be being sacrificed on the altar of busyness. Am I really hearing my child? Do I take the time to stop and really listen to the things that she’s telling me? So many times I’m afraid I don’t. I have to remember who I am. I am a child of God, a wife (profession aside), and a mom and that has to take priority over all the other voices shouting at me! My first inclination was to lecture, my second was to send a rolling eye emoji and leave it alone but the truth is she was seeking my counsel in a situation she knew was wrong but didn’t know how to work through. My quandary then became, “How do I help her without sounding like I’m preaching at her?” So I leveled with her. When in doubt, go to gut level honest. “I get it! There are several people that I want to punch in the face every day. There are a few that I might even say I hate. I’m not proud of that but, you know what, it’s life.” This is what being human and working out our salvation looks like. It looks the same for our kids, just in different settings. The mistake I am guilty of is waving it off as a silly adolescent thing but these “silly things” are the moments that impact the future of bigger things. These things are where we hold a mirror to their face and teach them to see Jesus in the reflection. I think one of the hardest truths for all of us to digest is that we never experience a single person that God doesn’t love infinitely. We like to project our dislike for people onto our relationship with God. If we don’t like them then of course he’s on our side…right? Maybe not! We need to be really mindful to not teach our kids this by default. The point is, we need to be less worried about whether or not our kids are signed up for everything and more concerned with their character. We need to stop shielding them from all the hard things because hard is where they grow. We need to really hear them when they mumble through some diatribe that quite honestly bores us to tears because in that mumbled out version of something, is a whole lot of everything. They are shaping their world view, their understanding of theology, they are learning how to see God and how to relate to others and if we don’t hear them (and I mean really hear them) so many opportunities to speak into all of these things are lost. I promise you, someone is speaking onto their lives. We have to make sure it’s us. Oh and no, you don’t have to have all the answers. The value is in the presence and the exchange and especially in the “I don’t know, let’s figure it out together” moments. Let’s slow down, listen, learn to read between their awkward lines, invest more into them than we do into everything else, and give parenting our all. Let’s invest in them like their lives fully depend on it because they do. Oh and by the way, we are all going to scar our kids. There’s just no way around that. They will grow up one day and they will tell us of the well-intentioned things we did that left baggage on their backs. Don’t let this be the fear that causes you to keep your kids at arm’s length because that will be a scare of regret that will be the hardest to overcome.